Coriander, Red Chilli Powder, Poppy seed, Bay leaf, Cinnamon, Turmeric, Salt, Kasurimethi, Ginger, Star anise and Clove. Take 500g of potato, boil it and mash it. Take a pan add 3 tbsp of oil or butter and add 1 chopped onions and fry till golden brown. Now add 2 tbsp of ginger garlic paste and add 25g of chopped carrot, 25gof chopped beans, 25g of chopped capsicum and sauté until it is cooked. 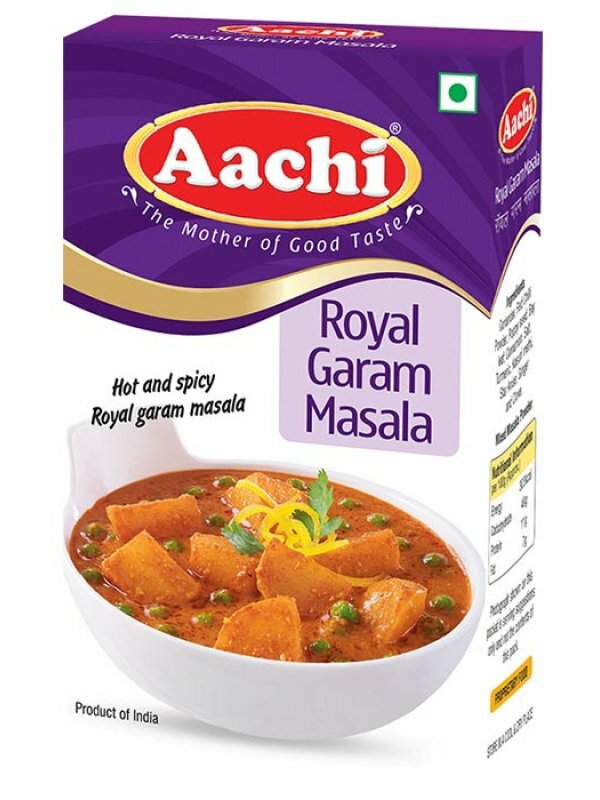 Now add the mashed potato to it and add about 3-4 tbsp of Aachi RoyalGaram Masala to it and add 100 ml of water. Adjust salt to taste and allow it to cook for 5 min. Serve it hot with chappathi or paratha.